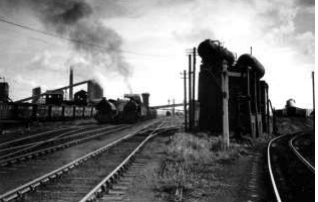 The Lambton site historically operated as a colliery, cokeworks, firebrick works in addition to a gas storage and purification facility. Located in Tyne and Wear, the site covers an approximate area of 65 hectares. Ammonia(ium) was identified in groundwater at concentrations requiring remedial action. The works were commissioned by Carillion PLC on behalf of One North East [Homes & Communities Agency]. Groundwater contamination was addressed through the installation of a soil mixed reactive barrier. The barrier was designed and demonstrated as being effective by Envirotreat through a range of comprehensive laboratory trialling and modelling techniques. The objective of the barrier is to mitigate the risk of ongoing migration of ammonia(ium) contaminated water to a nearby watercourse (Herrington Burn) by severing the pollution linkage pathway. Environment Agency approval for the remedial scheme was sought and gained in early 2009, with installation commencing in June 2009. The reactive barrier comprised of 270m of relatively impermeable sections and 200m of permeable reactive sections and was completed 2 weeks ahead of schedule and within budget. The barrier system was installed using a piling rig equipped with a soil mixing drill head. The treatment slurries were injected through the auger stem and mixed with the soil medium to form overlapping soil mixed columns. Proprietary treatment media were employed for effective treatment of ammonia(ium) contaminated groundwater. Strict Quality Control was adhered to throughout the installation process – this was achieved through the use of flow meters to measure the volumes of treatment slurry injected, digital gauges to monitor the drilling depth and data collection from the rig on board computer.